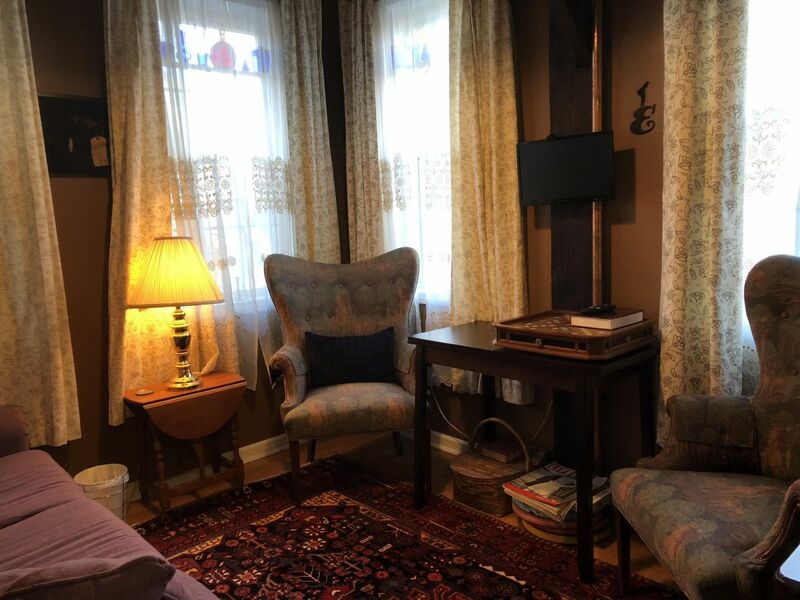 Truly unique among bed and breakfasts, the Old Mill Inn offers guests a peaceful retreat with close proximity to the Five College area and all the Pioneer Valley has to offer. 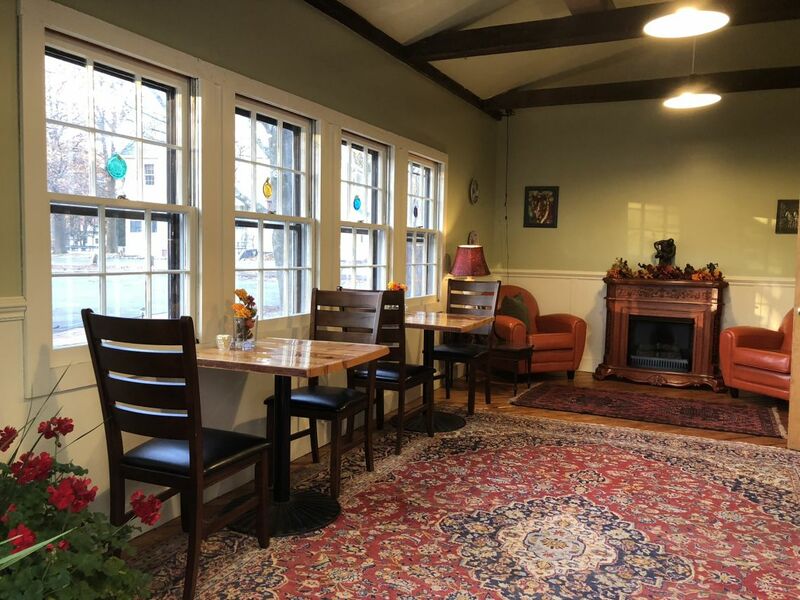 We are also only five minutes away from the academic and cultural hub of Northampton, and a short drive to I-91, yet a world away from the hustle and bustle, tucked away in the quiet and close-knit farming community of Hatfield. The Old Mill Inn sits on the bank of the winding Mill River, and guests can relax to the soothing sound of the river rushing over the dam. 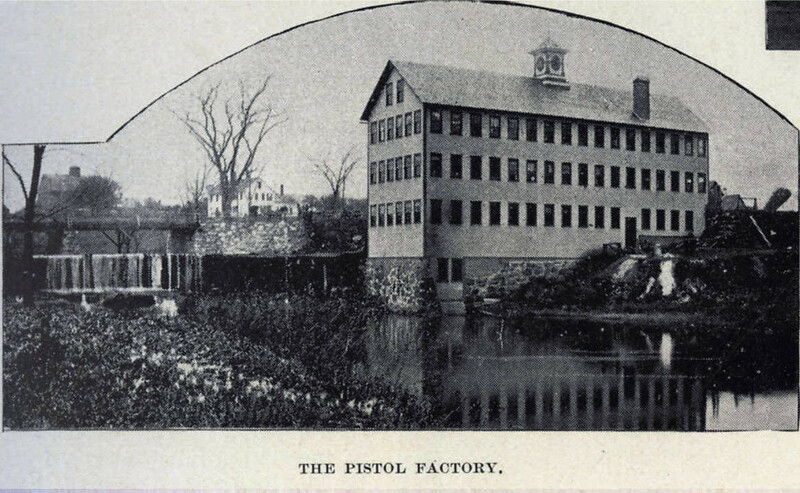 Hatfield Pistol Factory-XLOriginally built as a grist mill in 1870, the Mill has seen many transformations, from machine shop to gun factory to newspaper office – to its most recent incarnation as a professionally run, upscale bed and breakfast with a vintage industrial vibe – a perfect blend of historic charm and modern comfort. For those of you who are looking for a private retreat, romantic getaway, or a one-of-a-kind place to hold a meeting or event, the Old Mill Inn offers it all. In addition to our nine rooms with private baths, we offer four guest suites with full kitchens and room for additional guests, perfect for families or longer stays. The Cascade Suite is just above the falls with unforgettable views and the soothing sound of the waterfall. The Hatfield Suite is also suited for longer stays, perfect visiting academics, those seeking accommodation while relocating, or those on temporary assignment. All of our rooms and suites are tastefully decorated with a mix of antique and modern appointments reflecting the history of the Mill. The open beam construction is reminiscent of loft-style apartments and New England barn conversions, and each room is unique. We offer upscale, European-style linens, personal coffee makers in each room, HDTV and WiFi access, and an premium William Roam amenity package in each of our modern, private bathrooms. Guests are also welcome to use our token-op washer and dryer. Your first impression will be that of a warm and welcoming country house as you drive up to the Mill. If you arrive in the autumn, you will enjoy the beautiful colors fall foliage reflected in the Mill River rushing past, with great views from the front deck. Be sure to check out our custom designed frog pond by the front entrance. Spring through Fall, at any one time you will likely see several frogs sunning themselves on the rocks. Take a moment to sit in the sun on the benches facing the pond and listen to the peaceful sounds of the falls and rural Hatfield as you find yourself – for a moment or a long weekend – transported back to an era where life moves at a slower pace. You’re going to love it! We left Hatfield after four years (relocated for job) and returned to visit family. We stayed at the Inn and absolutely loved it. Highly recommend. What a lovely B&B! We booked the Newport Room with its view of the Falls and gorgeous canopy bed. The Falls are like white noise in the background and extremely soothing. The bed was super comfortable. The Inn is charming with lovely decor and an easy relaxed environment. Breakfast was delicious and just the perfect amount. I would stay here again any time. This is a gorgeous B&B. The Reading Room is delightful. The old architecture interior, combined with modern convenience, along with a New England autumn equals perfection. Thank you! We were visiting friends in the Northampton area and needed a place to stay. We were lucky to find a room available since there was some music festival that weekend and most places were booked. The inn was very quaint and pretty, right next to this old water mill.